DrinkWire is Liquor.com’s showcase for the best articles, recipes and reviews from the web’s top writers and bloggers. 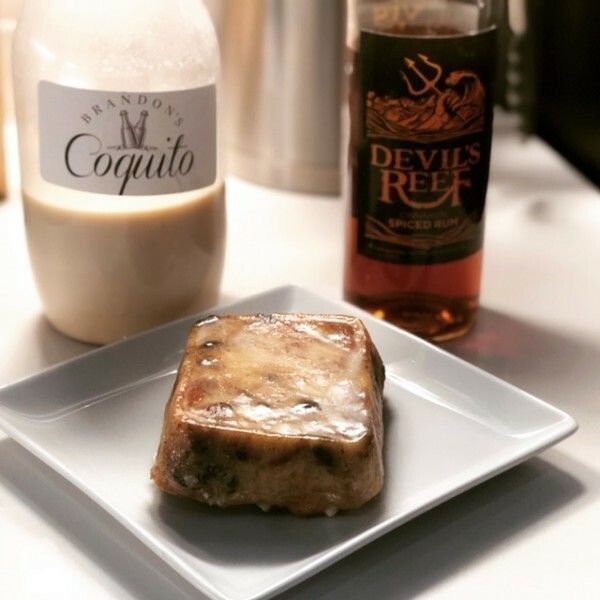 In this post, Rashaun Hall offers a bread pudding twist. I am not a chef but I luckily have some amazing friends like who are. Chef Simon Paul and I have been talking about collaborating on something for months now. This Boozy Food Contest was just the kick in the pans (rimshot) that we needed to get started. A few months back, I introduced Chef Paul to Devil's Reef Cinnamon Spiced Rum to see what he might come up. 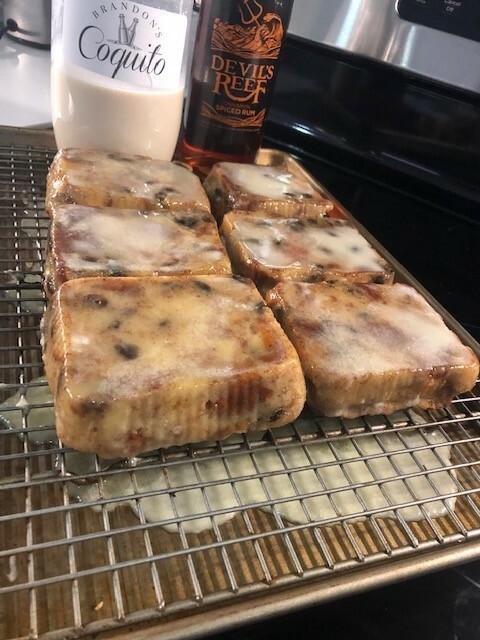 The result was moist dessert that was a hit this holiday season. Bon appetit and cheers! With an electric mixer on high speed, beat eggs with sugar until thick and pale. Stir in the vanilla, cinnamon, nutmeg, butter and raisins to the egg mixture. 4. Pour egg mixture over bread and stir well. Transfer the mixture to a greased baking dish. Let it slightly cool in the dish. With an electric mixer, beat egg yolks until thick and pale. Add the butter and sugar. Continue beating constantly with the mixer, until the glaze thickened.